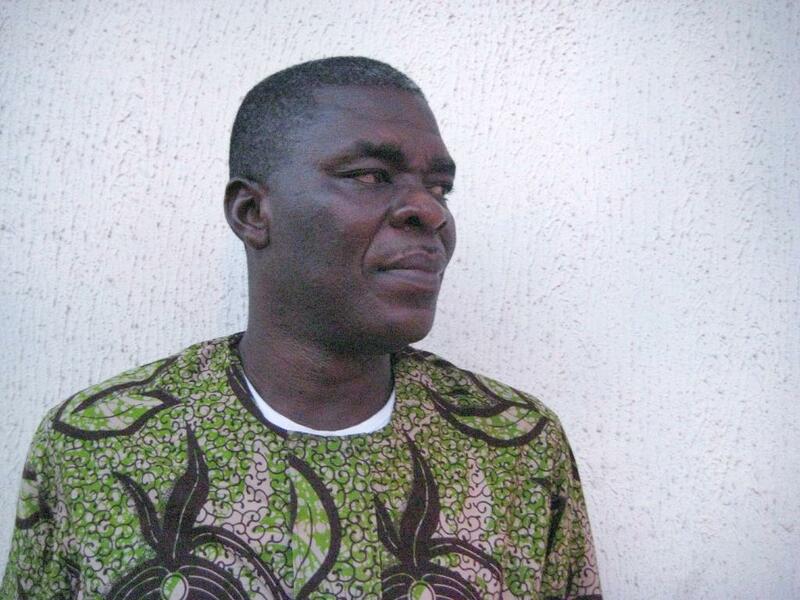 Sam Mbah is the co-author, with I. E. Igariwey, of African Anarchism, originally published in 1997. 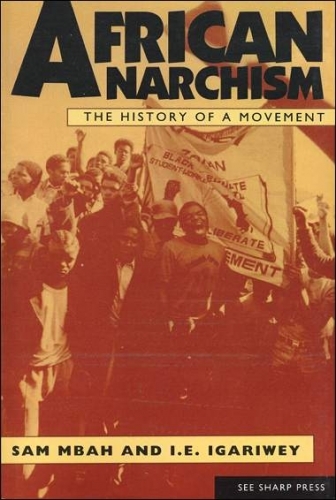 In that book, Mbah and Igariwey argued for an anarchist alternative in Africa. 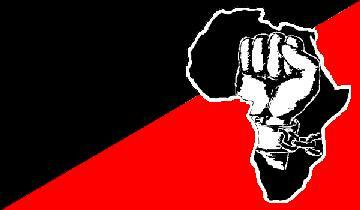 I have included excerpts from African Anarchism in Volume Three of Anarchism: A Documentary History of Libertarian Ideas. 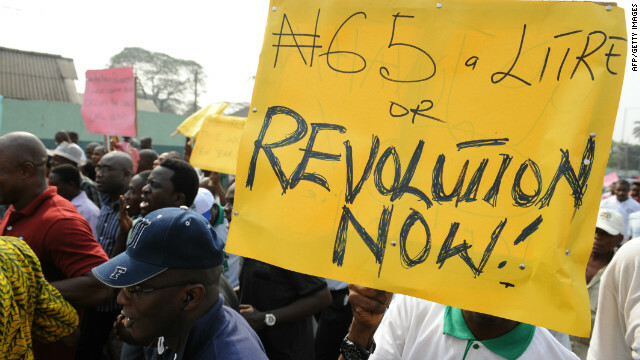 Last year, Mbah gave an interview in which he discusses the prospects for anarchism, and a “African Spring,” in Nigeria, where he remains active. 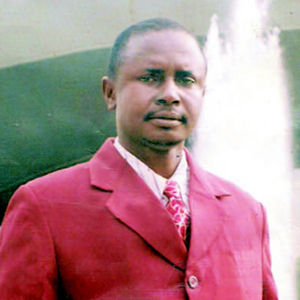 Below, I reproduce some excerpts from the interview, in which Mbah discusses power and corruption in Nigeria, the negative role of established religion, the weakness of civil society and trade union organizations, the role of the oil industry, environmental degradation, deindustrialization and the need for continuing support from people outside of Nigeria. The entire interview can be found at: http://sammbah.wordpress.com/. The activities of militants [in the Niger Delta] should not be viewed in isolation. The activities of militants is consequent upon the exploitative tendencies of oil companies operating in the Niger Delta, who are not adhering to international best practices that they continue to observe elsewhere around the world. In Nigeria, because they are complicit with the Nigerian state and the government, they carry on as they wish. They carry on as if tomorrow does not exist. They carry on because there is nobody to call them to order, to hold them to account. So the emergence of the militant groups in the Niger Delta is consequent upon the exploitative practices and tendencies, and the absolute lack of care for the environment in the exploration, drilling and production of most of the oil companies operating in the Niger Delta. So, when you have robbed a people of their environment, how, in good conscience, do you expect them to survive? To continue to exist as a people? You see, our people have a saying that nature has placed at the disposal of every group a means of survival. I’ll give you an example. In the southeast, in Igboland for instance, our people survive mostly on our land. 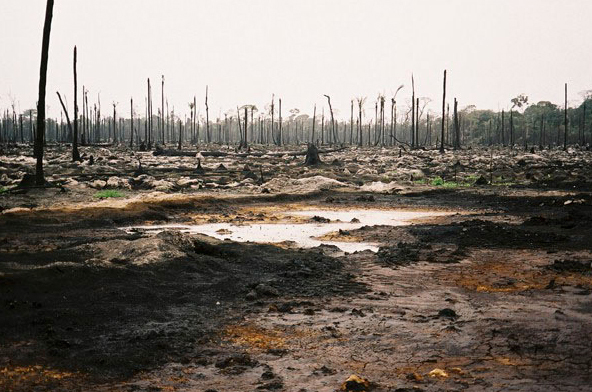 We survive on our palm trees, our people make palm oil, our people farm, this is the basic means of subsistence. If you go to the North, they do not have palm trees. They survive on other firms of agriculture, like planting onions, planting yams, and also pastoral existence. If you go to Niger Delta, the basic means of subsistence is fishing, and some forms of agriculture and farming too. So if we agree that nature has placed at the disposal of every group some forms of sustenance, we are witnessing a situation where the means of sustenance of much of the Niger Delta has been taken away. 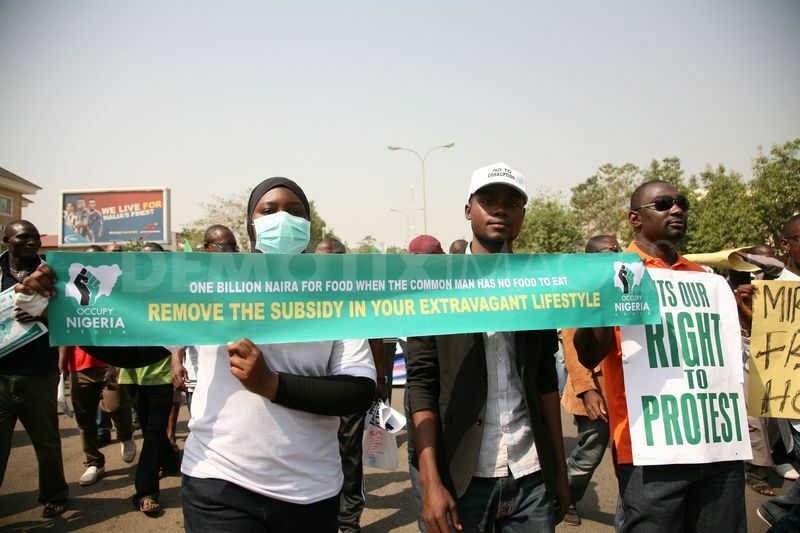 Through the activities of oil companies who are not minded on any form of corporate social responsibility. Before the advent of colonialism, our people were mostly African religionists, who worship our small gods – gods of thunder, gods of river, and such other gods. With the coming of colonialism, the two main global religions – Islam and Christianity – became a predominant force in the lives of Nigerians. So the core of the workers we have today are either in the civil service, the banking sector, or the petroleum industry. 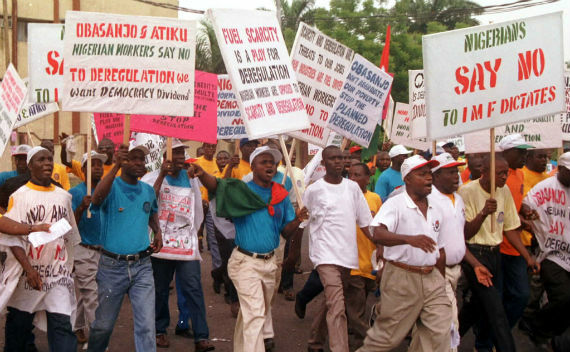 The workers in the petroleum sector see themselves as being favoured souls. So they hardly take part in their union activities, except the junior staff. The same thing also in the banking industry, in fact one of the codes of practice was that you don’t take part in union organizing. For upwards of 10-20 years the workers accepted it. 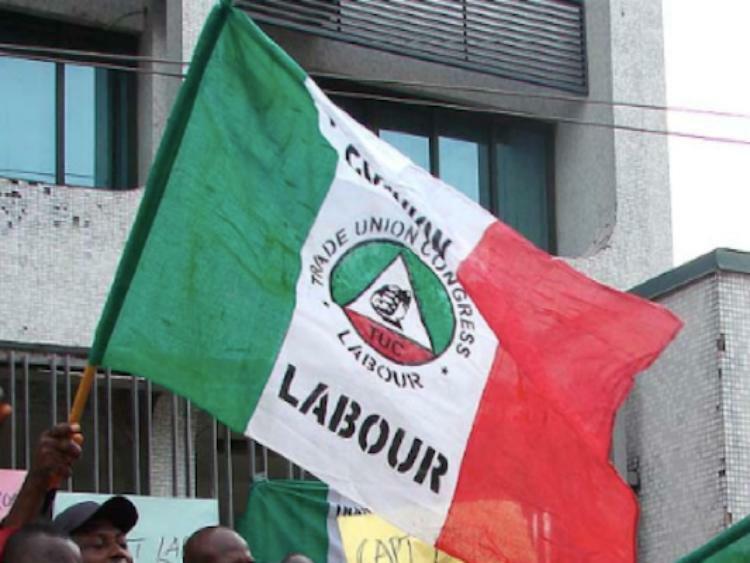 But since the first failure of banks in Nigeria, which took place in the late 1990s, the junior workers in the banks are beginning to organize again. But they’re no longer as effective. So basically, what you have as unions in Nigeria, are basically the civil servants. And you will agree with me that the industrial experience is based in industrial workplaces, not in offices. Not in air-conditioned offices and white-collar tables. Especially here in the south-east, we have not been able to build a virile civil society in this part of the country. The people in Lagos have been able to create better models essentially because they have greater experience in this field, arising from the years of military rule. The people in Abuja are doing well as well, because since the movement of the seat of government to Abuja, we have witnessed the concentration of activists organizing to hold the government accountable in one way or another. But we have not been so lucky here. I guess that part of the problem is that most people are concerned with the struggle for everyday survival. But I reckon that this is not enough of an excuse to give for not being able to organize. It is difficult in this part of the world to begin to build a movement based on anarchist principles alone. But we can build a movement based on trying to hold the government accountable, trying to fight for the environment, trying to fight for gender equality, trying to fight for human rights. Because these are minimum principles on which a broad swath of the population agree, and it makes sense for us to continue to interact and interrogate social existence and public policy on this basis. And seek to ensure that civil society is not extinguished completely. While also those of us who genuinely believe in anarchism will continue to organize and develop tools of organization that will someday lead to the emergence of an anarchist movement. Still find particularly interesting that you talk against political and economical elites, and I agree with that, and then your reference for social and activist performances is the… social media platforms? Come on, man. Don’t make me laugh with this kind of stuff. Social media, and I’m also a great user, exists only to provide – to sell! – personal information to big companies (to address and to know what you do, what you “want” and where you are) and governments. Make sure that police repression and secret services repression is done by following your steps in this platforms. There is no doubt about this. On the other hand, I’ve read some of your articles, and still can’t find one simple, and fundamental, word: freedom. There will be no lower class revolution without freedom: of living, of opinion, of vote, of representation, of thought. That’s so clear to me that I even don’t to think to argue about this. There is no other option. For me, modern anarchism (let’s put it this way to keep it simple), it’s all about fighting the patriotic and nation-state bullshiting rethoric. This exists only to divide free people. I want to throw my two passports to the trash. In fact, the revolution already started (with the creation of super-macro-governmental world institutions, like UN, World Bank, IMF, EU, African Union and all) but we have been colonized by european, US and big companies strategical and geo-strategical interests. In the near future we should enforce an anarchist movement to fight political structures and to end the political-parties dictatorship of representation. Individual and collective proponents, apart from the parties, should be able to run for every position in political institutions – either local, national or international. In the near future all this UN, IMF, World Bank, African Union – whatever – must be elected by the people. We must use technology, like internet and wireless cellphones, to vote (forget about ballots and hardline structures). We must vote even for our local, national or international budgets, programms, justice system. Everything. There should be an international elected government. Every single person in the world should be able to run, participate, and apply for this positions, even political parties that would like to do it. Good luck with transforming those international organizations into a genuine world wide democracy! 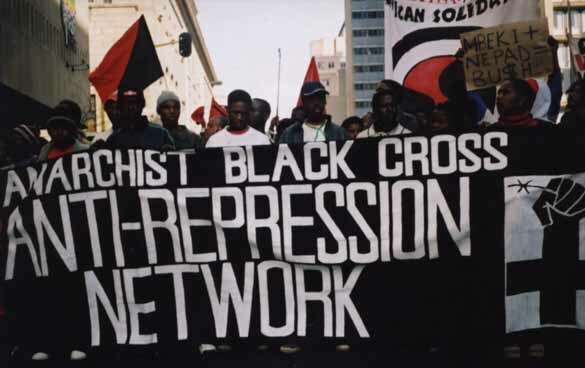 By the way, almost every post on this blog talks about freedom, which anarchists believe will never be achieved through orthodox political institutions and organizations, even if “everyone” is, on paper, entitled to run for election to them.